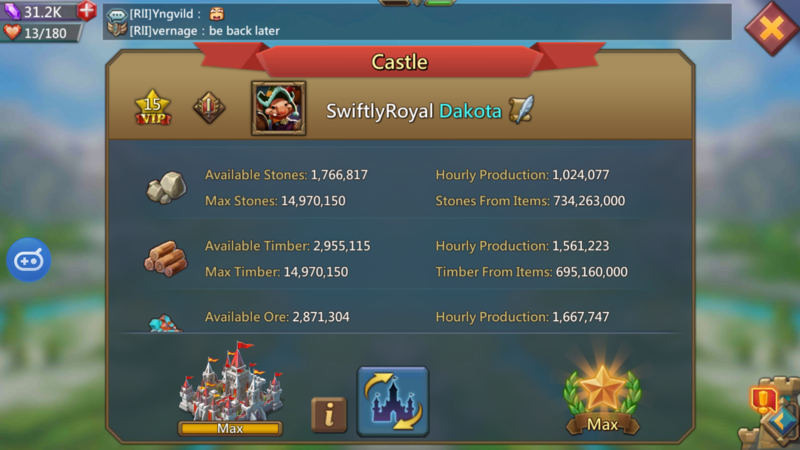 Ever had that tip of your tongue question of how you're even able to increase the production of your buildings? Well you're in luck, because I've got about every answer imaginable for you! When it comes to increasing production, there are a few places to start that will almost certainly kickstart you onto the path of success. Here are a list of places to start! Check your talents are set for the production of choice! Make sure to put on gear that is increasing the production of choice! Check your familiars for production, turns out some can be upgraded for higher production! Search your heroes abilities and upgrade them! This will give you HUGE bonuses towards your production! Increase your VIP level – it is difficult, but it is nonetheless an increase! I'm making about 20M resources in 3 places a day using these steps. If you want an enormous amount of resources, you can just deposit them onto an alternate account for safe keeping so your resources don't get capped by the storage amount. If you want more tips, feel free to watch the video. I hope you guys find the tips useful and you'll be on your way to hypering your resources in proper order!